The International Society for Quality-of-Life Studies (ISQOLS) aims to promote research on quality of life, well-being and happiness, as well as to provide evidence-based support for designing and implementing well-being policies. Annual conferences constitute a central instrument in attaining the Society’s goals. 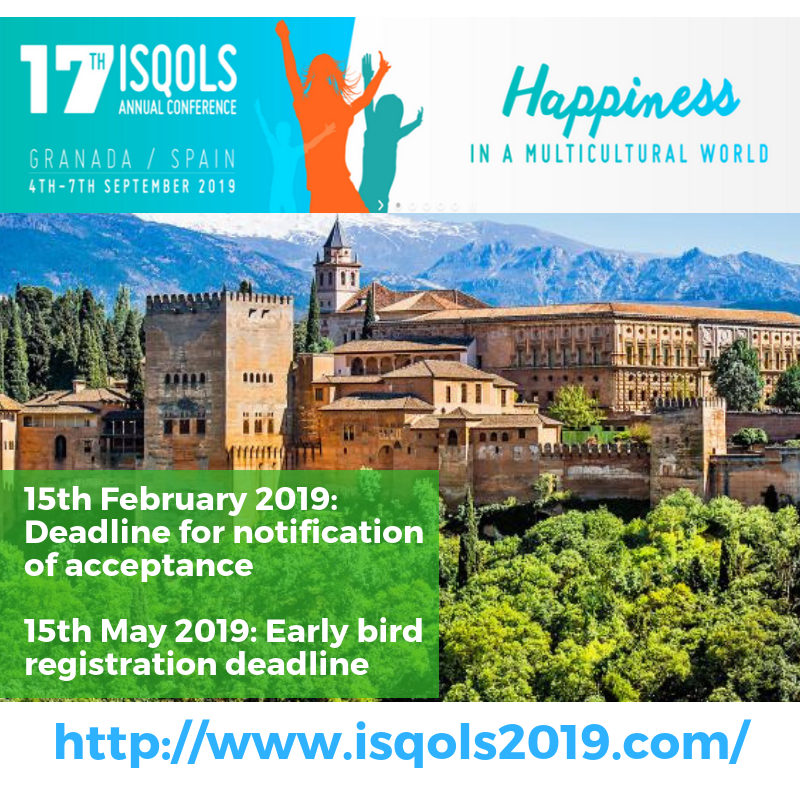 ISQOLS looks for organizing highly productive but friendly and relaxed conferences that allow for scholars and practitioners to enrich their own research and practices by meeting and exchanging ideas, findings, and experiences. ISQOLS conference participants usually come from all corners of the world and from many disciplines. The theme of the Conference is Happiness in a Multicultural World. Many cultures have dwelt in Granada during history, and many cultures do coexist peacefully right now. Taking this into consideration, we would like that the Conference would be an inspiration for happiness and quality of life towards peace and tolerance and understanding between different peoples. Please come and join us in Granada for the ISQOLS Conference! Abstract online submissions deadline has closed. How do I get the ISQOLS members discount for the conference? Do I have to pay for the conference at the same time as I renew my ISQOLS membership? No, this is totally optional. 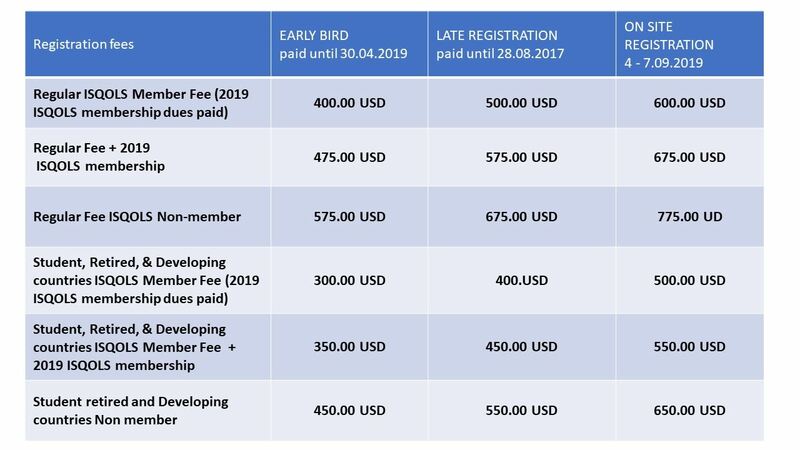 You can choose to join/renew your ISQOLS membership and pay your conference fees at once, or you can join ISQOLS and pay your fees at a later time. ISQOLS MEMBERS RECEIVE SIGNIFICANT DISCOUNTS ON CONFERENCE REGISTRATION FEES!